NOSE: Very harmonious fragrances of lilac and seductive spices, such as nutmeg. TASTE: Exceptional aromatic strength and finesse with notes of leather, incense and black tea. BODY: Remarkable long finish, refined. The talents of cellar master, Baptiste Loiseau, certainly come to the fore in this wonderful Fine Champagne cognac. 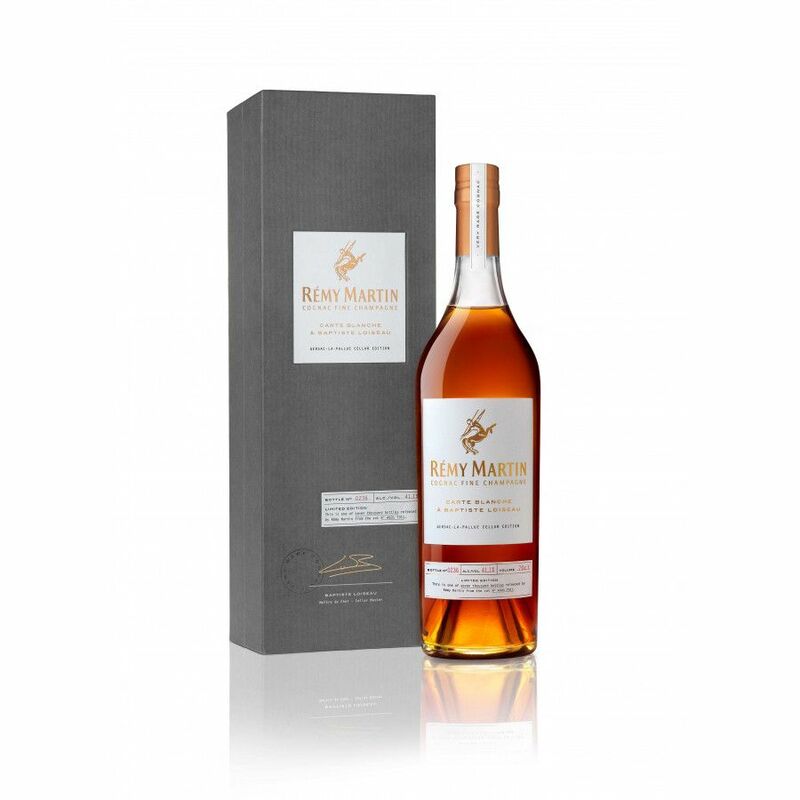 The Remy Martin Carte Blanche a Baptiste Loiseau No 1 Gensac La Palluc Cellar Edition is the end result of Loiseu's brief to create an exclusive limited edition - and he had 'carte blanche' to use whatever he wanted from the cellars of the cognac giant. He scoured the house's incredible legacy, eventually settling on a single vat to form the base of this stylish cognac. And now this delightful blend is has been launched in a strictly limited edition of 7,000 bottles. Each is presented in a 're-edition' of the orignial Remy Martin Charentaise bottle that dates back to the end of the 19th century. The eaux-de-vie used within the blend are all aged for more than 20 years. It has been bottled at the percentage and proof that natually occurs in the vat in order to preserve the all the original attributes: 41.1%. A rich, complex, elegant cognac, with spicy nutmeg notes, aromas of black tea of aged leather, and a satisfyingly long finish. Definitely one for the connoisseur. Now this Cognac is really a great first masterpiece by Baptiste. I met Baptiste (the cellar master of Rémy Martin) and he gave me an introduction to his very first blend. I really loved it, a very mature & adult cognac, very connoisseur. I'm happy it won a gold award, because it sort of deserves it. 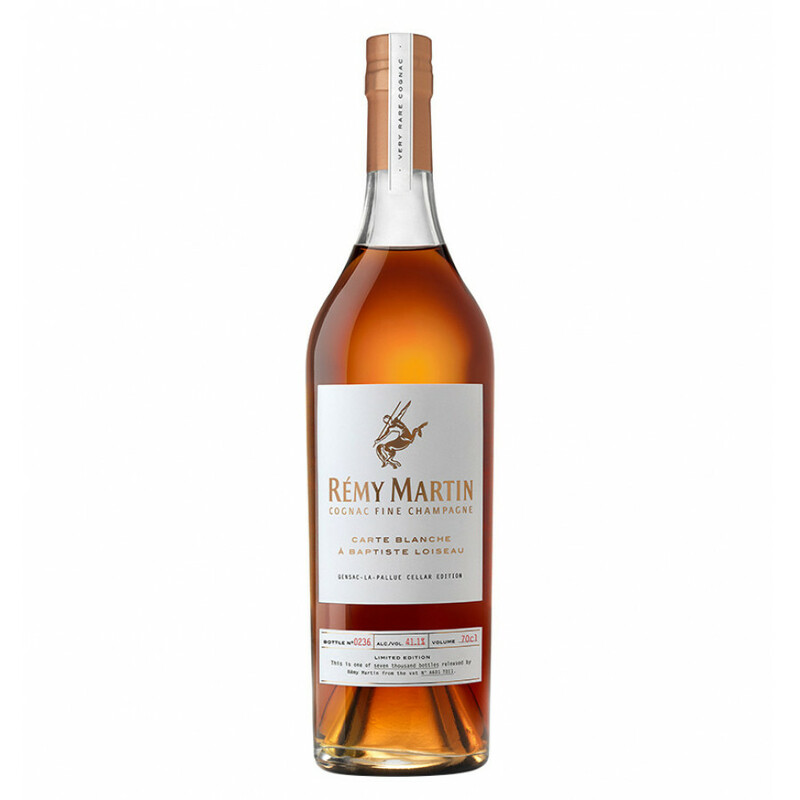 Of course, it's a bit of a higher price point, as it is Rémy Martin. Great collector item.